The lone hero saving the day makes a pretty good story. In sports, the lone hero can be Michael Jordan, willing the Chicago Bulls to a victory in the 1998 NBA Finals, even while sick with the flu. In history, the lone hero can be George Washington, leading his troops across the Delaware River in the middle of winter. In business, the lone hero can be Steve Jobs, single-handedly rescuing Apple from the brink of irrelevancy. Very rarely—if ever—do you read about the heroic board of directors, that, after days of tough discussions, comes to a consensus that incorporates the diverse perspectives of multiple stakeholders. That sentence alone is a good example of how less exciting the story of good board leadership can be, as opposed to defeating the British despite starvation and hypothermia. However, boards of directors exist for a reason. One person, no matter how skilled, capable, or even brilliant has limitations. The lone hero narrative is also not reality. Steve Jobs had Jonathan Ivie to design all those products. Michael Jordan had Scottie Pippen. George Washington had…the Founding Fathers. If they didn’t do it alone, what does that say about the rest of us? As a former trade association and nonprofit executive, I can tell you that working for a board wasn’t always easy. Having 10-12 bosses with different personalities, ideas, and visions for the organization’s future never is. That said, the directors I worked for had perspectives I never had. Those perspectives created insight and strategy that one person could never develop on their own. The old adage that two minds are better than one is usually true, and it is particularly true for small and midsized organizations that are led by a board of directors. But to fully maximize the potential benefits of its board of directors, an organization needs to do two things. The first is to fill board seats strategically. In other words, recruit directors with diverse skill sets and experiences. Include directors with functional areas of expertise, rather than just general leadership experience. While recruiting for a board can be challenging enough without having specific criteria for directors, developing job descriptions for directors and using LinkedIn to find candidates that match those job descriptions will pay off in the long run. The barrier to getting people to join a board is often a lack of clarity regarding what’s required of a director, so the mere act of recruiting strategically will help your organization attract high-quality board members. The second step to getting the most out of your board is to make sure your directors are spending time working on tasks that are mission-focused and help your organization achieve its vision. Too often board members spend what little time they have for the organization on just figuring out how to be a director. Boards frequently lack job descriptions, and directors often do not receive an orientation that outlines how the board functions. Directors are also forced to slog through piles of paper just to find the latest agenda or minutes. If you want to create a board that adds value, start by developing job descriptions and an orientation that gives directors a sense of what will be expected of them, as well as how the board functions. And start using BoardPaq, the board portal of choice for cost-conscious organizations. 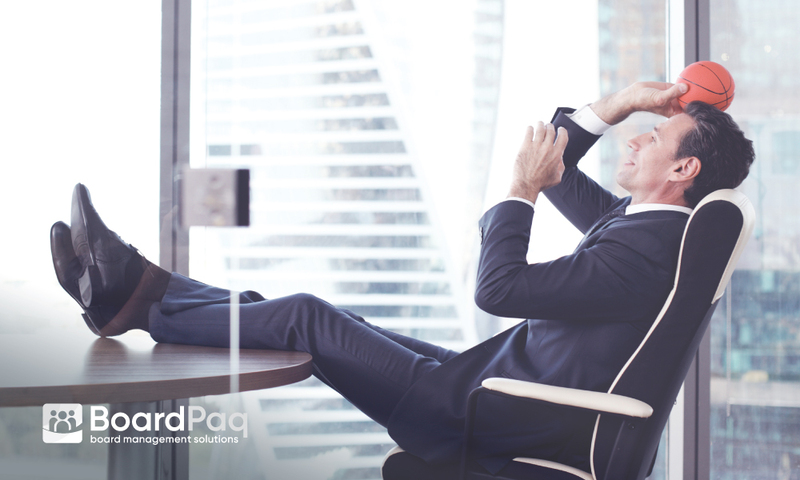 BoardPaq is designed to bring boards into the 21st century with a paperless solution that allows directors and the organization’s staff to focus more on value-added activities, and less on administrative tasks. No matter what the stories say, Michael Jordan, George Washington, and Steve Jobs didn’t do it alone. You need your board of directors. So give them the tools they need to be a high-performing board, starting with BoardPaq.